More than half of all American marriages end in divorce, and owning property together can complicate the process. If you’re about to cut ties with your spouse and you’re not sure what to do about your home: you’re certainly not alone. Many Sacramento, California residents need advice for selling a home during a divorce. California Family Homebuyers is here to help. 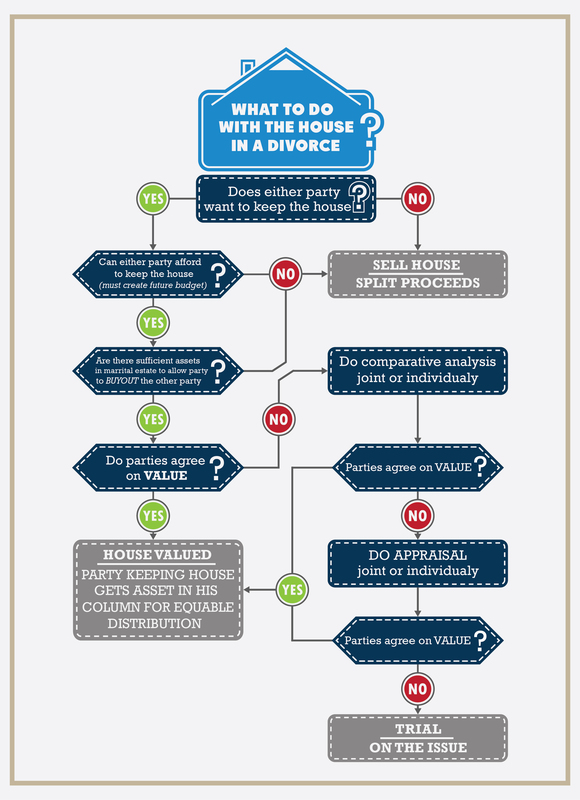 A home is one of the most valuable joint assets you’ll deal with in your divorce, and it’s one that can’t be divided without liquidation (unless you want to put a chalk line down the center). While a divorce is one of the most emotionally charged life events you can face as an adult, remaining practical will ease the pain. If your goal is a mess-free separation, consider these factors as you responsibly divide your real estate assets during a divorce. In many divorce cases, one spouse will keep the home and buy out the departing spouse’s share. In other cases, agreements are made where one spouse uses the house for a set period of time (this is usually applied when there are children in the home), and then the property is sold at a pre-determined date (usually when the children reach a certain age). In still other cases, mutually deciding on a way to sell the home is the easiest way to make a clean break and divide the value quickly. During a divorce, you have a lot going on and little time to become an expert on real estate. You shouldn’t take on the task of selling your home all by yourselves. You may have disagreements with your spouse about selling price or other issues. When you work with a real estate professional — either a reputable agent or real estate investment firm — both spouses have access to a neutral third party who can help determine a fair selling price and handle the marketing of your home. If you’re not in a hurry to sell your home, listing the property with an agent on the open market is often your best bet. But if you can’t wait the 3-9 months it sometimes takes to sell a house in the Sacramento market, chat with us to see what we can offer you for your house during your divorce. When you need to sell your Sacramento house fast, reputable local real estate investment firms like California Family Homebuyers may be a great option. Firms like ours actually BUY HOUSES (rather than listing them like agents do), and we pay cash and can close quickly so you don’t have to deal with a long escrow process. It’s important to maintain a timeline when you’re selling your Sacramento house during a divorce. Set firm closing dates, moving dates and times, and coordinate which spouse will be handling the sale. Make sure both parties are on board with which repairs need to be done, and when they’ll be completed (and who is handling the vendor relationships). Make sure that each of these agreements are in writing, and negotiate penalties for breaching the agreements. This helps ensure a smooth, surprise-free home sale. Deciding how to sell a marital home in Sacramento doesn’t have to be as stressful as the divorce itself. If you carefully select a swift way to liquidate the property, you could walk away within weeks and begin your new lives. One option that many divorcing couples have turned to in recent years is making a quick sale to real estate investors like California Family Homebuyers. Reputable local real estate investors like us purchase houses quickly and without stress. The process can take as few as seven days! When you decide to sell to a real estate investment firm like California Family Homebuyers, all parties can walk away from the sale without unnecessary additional stress. It’s a great option when neither party can afford to buy out the other. Selling to an investor also helps couples in an increasingly common and frustrating scenario: when you’re stuck living together because neither spouse can afford to move until the asset is liquidated. We’ll evaluate your house, make you a fair all-cash offer and you can decide if selling your house to us is the best fit for you. We’re here for you: reach out today so we can chat!